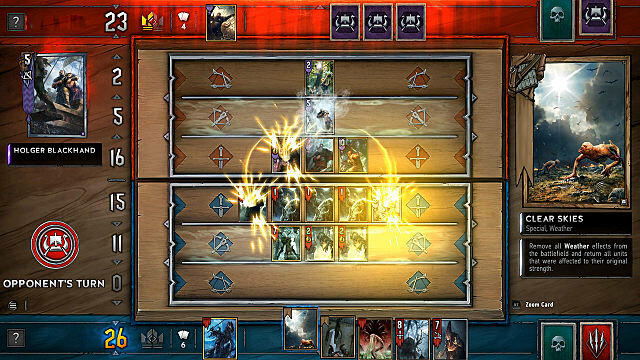 Gwent was first conceived in The Witcher books by Andrzej Sapkowski, but it was strongly augmented for The Witcher 3 mini-game. 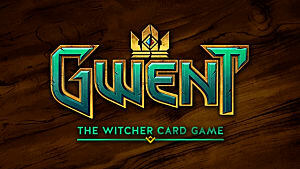 Later, the community literally begged CD Projekt Red to release a standalone CCG based on Gwent, and here it is, available for free to all those who managed to sign up for the closed beta. Gwent is a very unique card game that requires a completely different approach than most CCGs available on the market today. The main win condition may sound really simple -- all you need to do is overpower your opponent with your units. But the way to get there is what makes Gwent a true challenge. 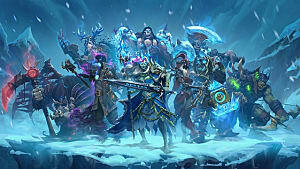 Let’s take a deeper look at the current state of this unusual but incredibly interesting card game! 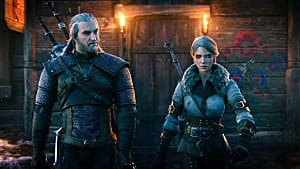 At the core of Gwent stand five factions: Northern Realms, Scoia'tael, Monsters, Skellige, and Nilfgaard. Each of these factions has its own leaders and passive abilities that support their corresponding decks. One thing that immediately stands out when you start playing Gwent is the sheer amount of various archetypes that exist in the current meta. This kind of diversity creates solid competition, as you don’t really know what to expect from your opponents apart from the obvious Gold and Silver cards that are widely included in certain decks. Also, the addition of RNG-heavy cards causes the current state of Gwent to fluctuate, which brings it ever closer to its main competitor: Hearthstone. But don’t take it wrong that the wrong way: Gwent is still far away from the RNG-fiesta that is Hearthstone, and it has always been. CD Projekt Red carefully monitors the events happening on the Gwent ladder, and while the game is still in the closed beta, the cards get nerfed on a regular basis. For example, one of the strongest archetypes in Gwent has been Foltest Northern Realms, but due to recent changes, it’s not as good anymore, and its rival faction -- Skellige -- is currently at the forefront by taking solid wins against Henselt, Control Scoia'tael and Monsters decks. 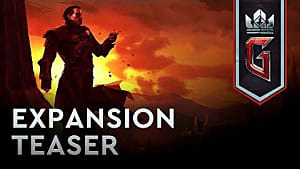 But again, the situation may change as soon as the game enters open beta, which should start on May 24. This means that another batch of cards will get nerfed and the meta will once again change. Although the state of the meta changes all the time, there are certain elements of Gwent that stay the same, and it is possible to use them to your advantage. One such mechanic is Spying, which gives your opponent a powerful unit, but in return, you get some sort of enhancement on your own board state. This is something you don’t see in any other CCGs, and it is really cool to trick your opponent into thinking that you give them more power. Then, if you play the Calveit Nilfgaard deck, you can order your spies to move back to your side of the board and gain massive advantages in one turn. Another cool mechanic is Weather Effects, which can be played either on your opponent’s side to neutralize their forces or on your side to buff your own units. One of the most powerful deck in Gwent is Dagon Monsters, which uses these weather effects to such an efficiency that it makes it a bit too powerful, to be honest. 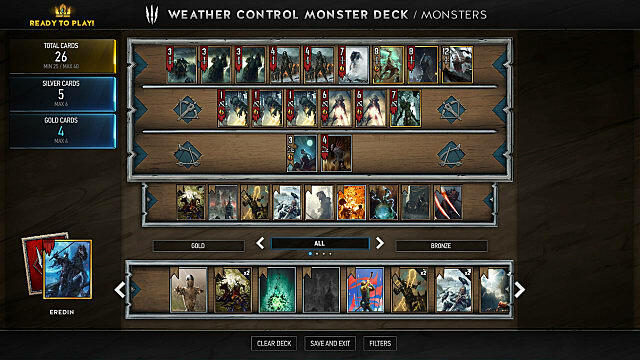 You can also change the value of the cards with the help of the Henselt leader from the Northern Realms faction. It turns seven adjacent units into Gold units, and that immediately makes them immune to all sorts of effects, including weather effects. 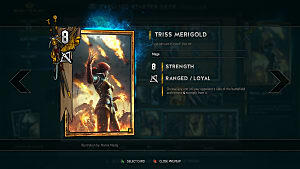 All of this truly makes Gwent an original card game with its own right. Every card game needs players to buy and craft more cards, and Gwent is no exception. The current pool of cards is already pretty remarkable, and many new players may feel the urge to spend money to get the best cards as soon as possible. But in reality, there really is no such need. In the case of Gwent, your credit card is not the best card, since it is a very skill-based game. If you play really well, then a well-made budget deck can get you far up the competitive ladder. For example, a cheap Consume Monsters deck that utilizes Vran Warriors and Arachas Behemoths in the early game and Nekker Warriors in the late game. This deck has only one Gold unit -- Geralt -- and the deck performs exceptionally well. But as mentioned earlier, it still requires a skillful player to win match-ups. On the other hand, if you like to play control variants, then prepare to spend some cash. These types of decks require tons of Gold and Silver cards, and at the same time, can be really hard to pilot. Gwent is definitely headed toward a bright future, especially after its recent emergence on the eSports scene with the latest Challenger tournament that, surprisingly, has seen lots of professional Hearthstone players in it. 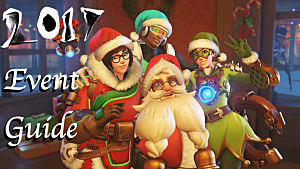 Or maybe not surprisingly at all, since Hearthstone has gotten a bit stale lately. Gwent, on the other hand, really offers something fresh and unusual, which attracts players who would like to see some real challenge, and not just a series of random outcomes. 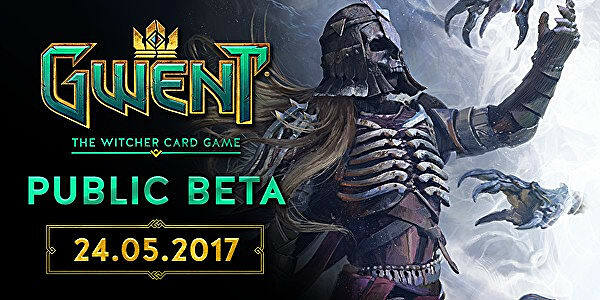 So, in case you didn’t manage to register for the closed beta, wait for a couple of weeks and start playing Gwent in open beta. 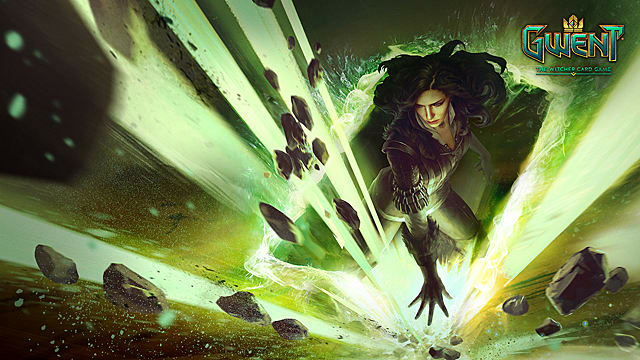 As of now, all registrations for the closed beta of Gwent have been terminated, so what does it mean for every one playing? 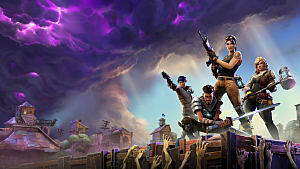 Well, most likely, you can expect a complete reset of the servers, meaning that all the progress, including your card load will be fully deleted. Every Card Keg you purchased -- we will return you the amount of Kegs you bought with real money. Card Kegs for Player Levels -- starting from level 5, you get 2 Kegs every 5 levels. Card Kegs for your rank -- 2 Kegs for each rank. 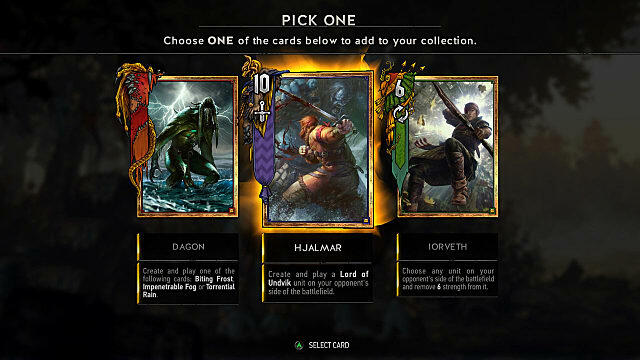 All items granted as gifts from CD PROJEKT RED (like the gift premium Geralt card). That's it for now. 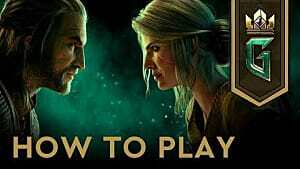 Make sure to check out our Gwent Beginner's Guide to get started in The Witcher CCG the right way. 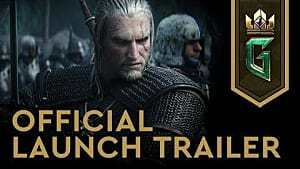 Have you had the chance to play Gwent? Will you sign up for the open beta? Express your opinion in the comments below.